HI! I’m Goldie, a 12 week old pup that is ready for our fur-ever home. 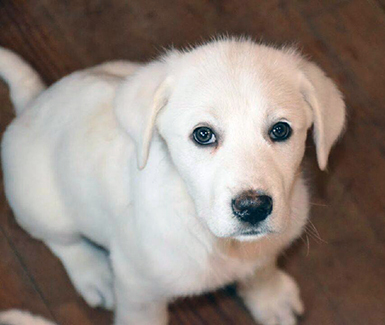 I am a sweet little girl pyr-mix that has been taken care of by a wonderful foster. I am about 12 weeks old and grown up enough to adopt my own family now.